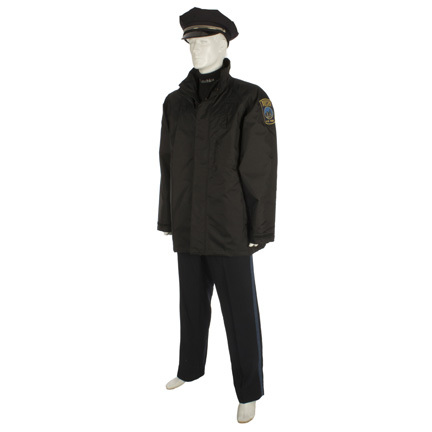 This Boston Police officer's uniform was worn by the character "Doug MacRay," portrayed by actor Ben Affleck, in the 2010 motion picture, "The Town." 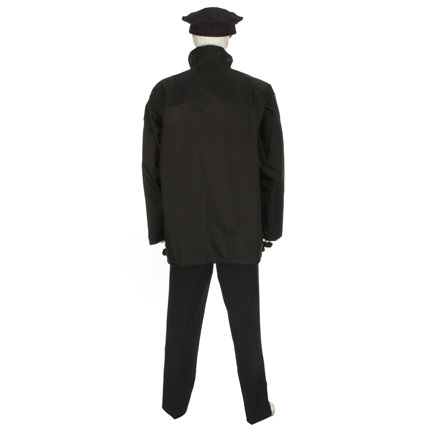 The costume consists of a reversible navy nylon jacket with Boston Police Department patches, black turtleneck dickey with "Boston Police" embroidered on the neck, navy polyester police pants with blue side stripes, and a navy officer's cap with silver band. 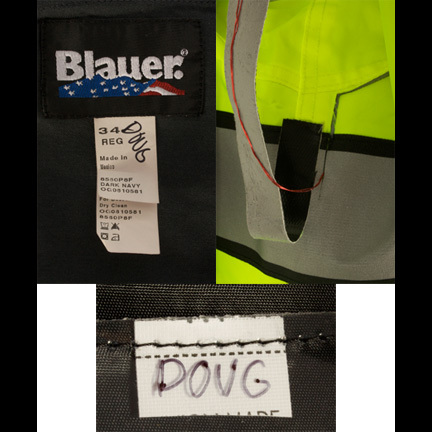 The jacket and pants labels both have the character name "Doug" handwritten in black ink. 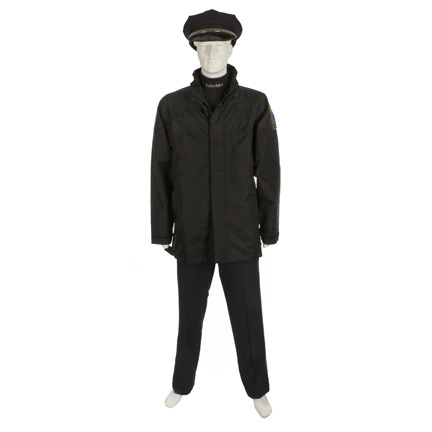 The interior of the jacket has wire rigging which may have been required for special sound recording during filming. 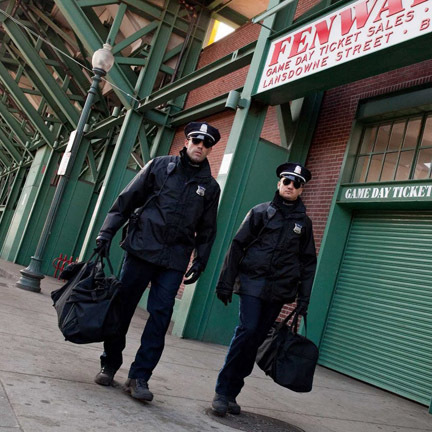 Mr. Affleck wore the uniform when he and the rest of his crew attempt a heist at Boston's Fenway Park. 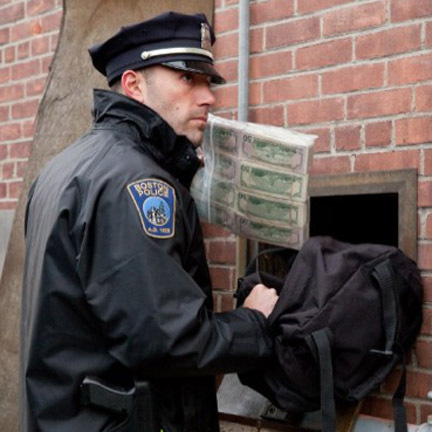 After dressing up as police officers to infiltrate the cash room, he and his partner "Jem" (Jeremy Renner) remain in disguise and wheel the money back to their getaway vehicle. 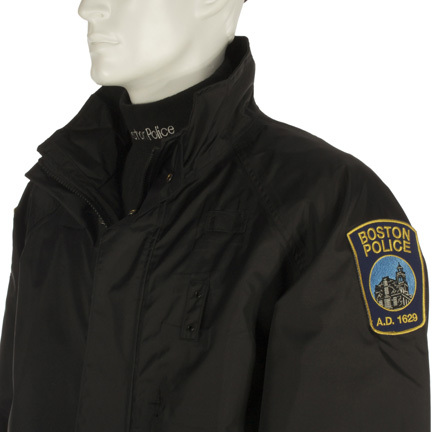 They change into paramedic uniforms to make an escape but the Boston P.D. and FBI show up to foil their plans. After exchanging gunfire with the authorities, they change back into their police uniforms again and attempt to flee. "The Town" was directed and co-written by Ben Affleck and featured outstanding performances by Jeremy Renner, Pete Postlethwaite, and Jon Hamm. The film received numerous awards and nominations, and actor Jeremy Renner was nominated for an Academy Award as Best Supporting Actor for his work on the film. 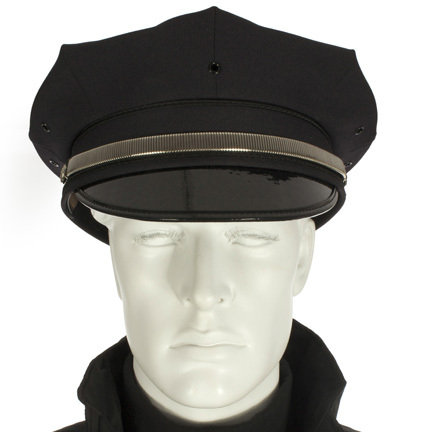 The garments are in very good screen worn condition with minor evidence of wear. Accompanied by a letter of authenticity from the costume house. Presented by The Golden Closet, your premier source for iconic screen used wardrobe, props, and music entertainment memorabilia.